The style of your house is part of what makes it home. A fence can be that perfect accent piece while still serving a functional purpose. We specialize in offering you affordable, reliable, high-end quality fencing for types of residential and commercial property. We have a variety of styles, products and brands to choose from. Our fence technicians are well trained and have years of experience. Please give us a call to set up a FREE consultation or to ask any questions you may have regarding our services at 785-249-0808. Your Louisville, KS fence installation and repair professional will work with you to create your ideal fence. Fence installation or replacement. 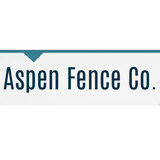 If you are in the market for a brand new fence, a contractor’s services will include walking you through various fence styles and materials, determining a suitable height, ensuring that all fence designs and plans are compliant with Kansas building codes, and that the fencing meets both your stylistic and security needs as the homeowner. Fences and gates must complement the grade of your property as well as the type of soil you have, so the contractor should always plan around these considerations. Additionally, if you don’t know exactly where your property lines are, he or she can commission a survey for you. Find a fence contractor in Louisville, KS on Houzz. 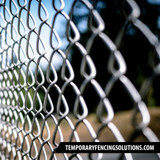 Narrow your search in the Professionals section of the website to Louisville, KS fence contractors. You can also look through Louisville, KS photos to find examples of fencing and gates that you like, then contact the professional who worked on them.